Gingerbread. There’s always something amazing about that name. For most people, it invokes fond memories of their childhood, reading fairy tales about the Gingerbread man, bedtime stories, or even watching plays and movies about it. 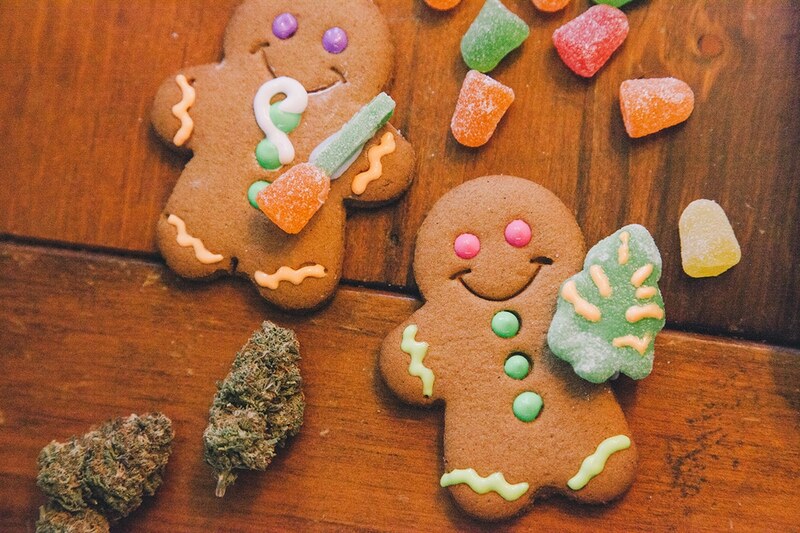 A number of years down the line, your favorite gingerbread has become a stoner and everyone’s favorite gingerbread. The beauty of gingerbread is how easily you can use the recipe to create a beautiful buzz over the holidays. A buzzing holiday is something a lot of people will want to enjoy from time to time. There are many things you can do in your kitchen when it comes to baking stuff, and adding weed-infused gingerbread cookies into the mix would be one of the highlights. Bring your oven to 200 degrees C.
Mix the cannabis oil and sugar in one of the mixing bowls. Whisk until you get a fluffy mix. Add molasses, water and the egg, and then stir properly until you have an even mix. In another large bowl, mix cinnamon, ginger, salt, nutmeg, flour, cloves, baking soda, and allspice. Mix this properly until it’s even. You should have two mixes, a dry one and a wet one. Stir the dry mix into the wet mix slowly, making sure that they all combine evenly. Lay the wax paper down on the cookie sheets. In case you need to make sure that your cookies are simple and round, roll the dough into small balls. Lay them on the cookie sheet and bake in the oven for around 8 minutes. If you need the cookies to come out in different shapes, slice the dough into two, and keep both halves inside your fridge for half an hour. Set a timer. Remove the dough from the fridge when the time is up. Sprinkle some dough on your working counter and with a rolling pin, roll out the dough carefully. Roll the dough until you end up with a flat result that’s about 1/8 inches thick. Use a cookie cutter to make the shapes you want. Set the cookies in the baking sheet. With the scrap dough pieces remaining, make new dough balls, roll them again and make more fun cookie shapes. Having used up all the dough, bake the cookies for around eight minutes. Remove them from the oven and let the cookies cool down. You can use the Ziploc bag to apply frosting on the cookies. Cut a small corner on the bag and insert the frosting inside, squeezing to decorate the cookies in whichever way you want.